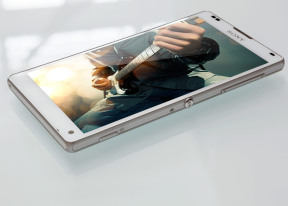 The Sony Xperia ZL has quad-band 2G and tri-band 3G connectivity. Mobile data speeds are an impressive 42 Mbps of HSDPA and 5.8Mbps HSUPA. There is also up to six-band (region dependent) LTE support with 100 Mbps download and 50 Mbps upload speeds. Local connectivity is covered by dual-band Wi-Fi a/b/g/n with DLNA and Wi-Fi Direct, so you can easily share content from your phone on a DLNA TV or music player. There's also Bluetooth 4.0 with A2DP. Media Remote isn't preinstalled on the Xperia ZL but you can get it through the Google Play Store for free. It will serve as a remote control for DLNA-capable BRAVIA TVs and Sony DVD/Blu-ray players too. There are a few versions of the interface ranging from simply changing the channels to mouse input and viewing disc history. This sort of a remote only works over the Wi-Fi connection. The Xperia ZL however comes with a real Infrared port and can be used a regular remote control. Sony has pre-installed a dedicated Remote Control app that can operate with various models of TVs, VCRs, various Set-Top Boxes, home theater systems, DVD/Blu-ray players, iPod docks, projectors, etc. There is a manual setup as well. The app has easy to use interface and may turn your Xperia ZL into a universal remote for all of your gadgets. The Xperia ZL also comes with NFC connectivity, although that's easy to overlook considering there are no included NFC tags in the retail package (like with other NFC-enabled Xperia models), and the Xperia SmartTags app used to manage them is also not present. In the settings though you can find and use Google Wallet and Android Beam functionality. The Xperia ZL comes with Sony's Smart Connect app, which replaces the former LiveWare manager, although the functionality remains basically the same. With Smart connect, you can set your device to do a variety of things, like launch an app or set an alarm, whenever you connect an accessory, e.g. a headset or a charger. If a media app supports the Throw function (like the video player), you can use the Smart Connect app for DLNA functions (sharing screen, etc.). The Xperia ZL comes with Google Chrome as the default web browser out of box instead of the generic Android browser. The minimalist interface hasn't changed since Chrome launched on Android. Google Chrome as well as Android Jelly Bean does not support Adobe Flash, so getting it working on Xperia ZL seems out of the question. The Xperia ZL offers a completely new social service, replacing the previously popular Timescape. It's called Socialife. The Socialife is a Sony home-made app that supports Facebook, Twitter, YouTube and Google Reader accounts. You have a unified Stream page where you can view every social notification that you have order chronologically or by the Smart Sorting feature. The latter puts the stories you might be interesting before others. There is a Post field which from where you can update your Facebook and Twitter statuses. The service offers four widgets - two for your stream with different visual styles, one for quick social status update and one with quick shortcuts to your social friends. The latter also shows new notifications with small balloons in the upper right corner (the iOS style).